A company that has raised its dividend payout for at least 50 years straight is counted among an elite rank of stocks known as “Dividend Kings.” Only two dozen companies have managed that impressive feat and earned membership in this prestigious, income-generating club. 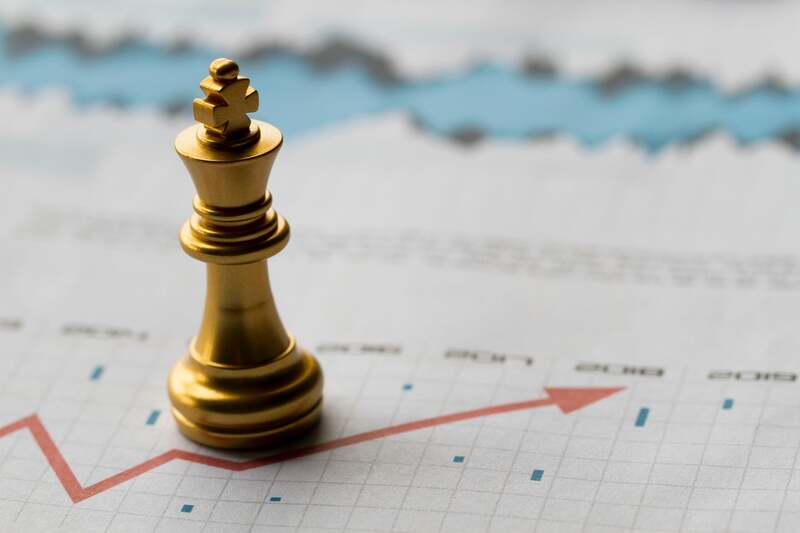 Read on to see why Dover (NYSE: DOV) , Lowe’s (NYSE: LOW) , Federal Realty Investment Trust (NYSE: FRT) , Genuine Parts Company (NYSE: GPC) , and Johnson & Johnson (NYSE: JNJ) , are standout income plays even among the list of Dividend Kings. Dover has sold off its energy businesses in order to reduce its exposure to some of the cyclical trends that were giving it trouble. It’s now restructuring the business to concentrate on the industrials sector and pursue new projects and cost-cutting steps for its refrigeration and liquids businesses. The company’s performance has been sluggish over the past few years, and guidance from management that turned out to be overly optimistic amplified disappointment with the stock. However, Dover still has a solid core business that can benefit from some efficiency improvements — and it looks like it might not have to deliver super-high-end performance to be a winner for shareholders. Shares look cheap, trading at roughly 17 times the year’s expected earnings and 23 times its 2018 free cash flow (FCF). The company has historically generated strong cash flow, and it’s in good shape to keep the business humming along and cash flowing back to shareholders. Data sources: Lowe’s; Yahoo Finance, Dividend.com. FCF and earnings payout ratios based on results over the trailing-12-month period and forward annualized payout. Table by author. The case has often been made that Home Depot is a better play in the home-improvement retail space than Lowe’s. Recent performance has borne that position out, and it may still be true, but Home Depot isn’t a Dividend King — and Lowe’s deserves attention as a worthwhile long-term income play based on its own merits. Lowe’s has been delivering rapid dividend growth over the past decade — posting far and away the fastest payout expansion among the five Dividend Kings profiled in this article. The cost of covering the stock’s forward distribution still comes in at less than a third of the company’s trailing free cash flow, giving the home-improvement retailer plenty of leeway to continue increasing its payouts. The company has managed to rapidly increase its FCF over the past five years, and the business looks like it could continue to gain ground amid efficiency initiatives and a push to increase its online retail and services offerings. Lowe’s stock looks nonprohibitively valued, trading at roughly 18.5 times this year’s expected earnings. Mark Twain is reported to have coined the saying, “Buy land, they’re not making it anymore.” If that wisdom resonates with you and you’re looking for Dividend Kings that can help put it into action, Federal Realty Investment Trust will be on your short list. The company is a real estate investment trust (REIT) , a classification that means it generates sales and earnings through properties that it rents — and that it’s subject to a different set of operating and accounting rules than most other stocks on the market. REITs are actually required to return at least 90% of their income to shareholders in the form o f dividends , so investors don’t have to worry about the company cutting the dividend unless it absolutely has to. And Federal Realty Investment Trust appears to be in good shape to keep growing its payout. The rise of e-commerce does put some pressure on brick-and-mortar retail property rentals, but Federal Realty’s holdings are largely concentrated in high-end, in-demand markets that will likely continue to be able to support commercial centers. The company’s high free cash flow and earnings payout ratios also stem from the fact that it’s required to count standardized depreciations against its earnings — even when the assets in question aren’t actually losing value. Genuine Parts has managed to leverage its strength in the automotive and industrial equipment space to deliver more than six decades of consecutive annual payout growth. That’s no small feat, and while transportation and industrial machinery can be expected to go through big changes with the rise of robotics and expanded device connectivity, the company is in good shape to keep chugging along and raising its payout. Genuine Parts’ stock trades at roughly 19 times this year’s expected earnings and looks like a dependable income play for long-term investors. Johnson & Johnson was founded in New Brunswick, N.J., in 1886. The company’s first products were medical wraps and bandages, and it went on to develop into one of the world’s largest healthcare businesses. Most shoppers are probably familiar with Johnson & Johnson’s consumer brands, but the roughly $360 billion company has built a diversified business that generates most of its revenue from pharmaceuticals and has a medical devices and diagnostics unit as well. While J&J has a reputation for being a dependable blue-chip stock , shares have seen some significant swings over the past year as the company has faced pressure from a lawsuit alleging it knew that its talc-based powder products had been contaminated with asbestos. Competition from biosimilars and generic alternatives is also putting some pressure on the company’s pharmaceuticals segment. J&J’s consumer brands might face some pressure going forward, but the company’s pharmaceuticals business is still pretty strong, and it looks like it’s well positioned to maintain leadership positions across different segments of the healthcare industry and keep cash flowing back to shareholders. David and Tom just revealed what they believe are the ten best stocks for investors to buy right now… and Johnson & Johnson wasn’t one of them! That’s right — they think these 10 stocks are even better buys. Keith Noonan has no position in any of the stocks mentioned. The Motley Fool recommends Home Depot and Lowe’s. The Motley Fool has a disclosure policy .